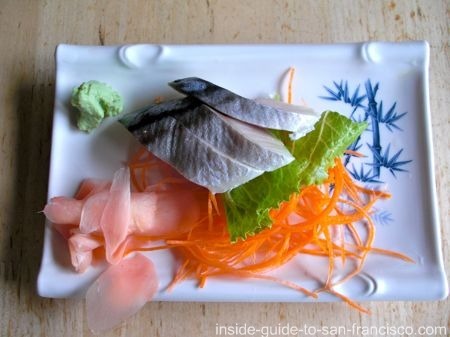 If you're looking for inexpensive, delicious sushi in San Francisco, here is a suggestion. 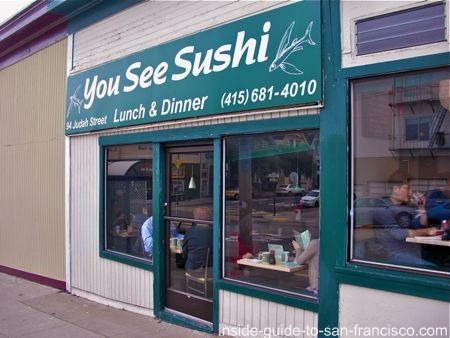 Try the cozy little San Francisco sushi restaurant a block from UCSF: named, appropriately, You See Sushi. 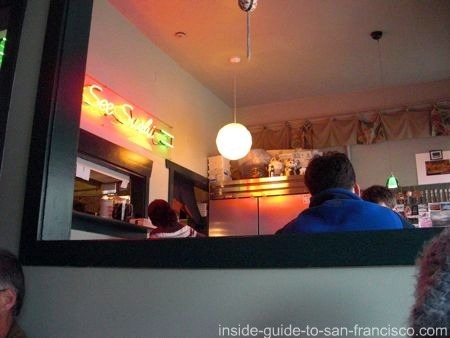 It's not easy to find a San Francisco sushi restaurant that is both low cost and high quality, so I was happy when friend told me about this one. 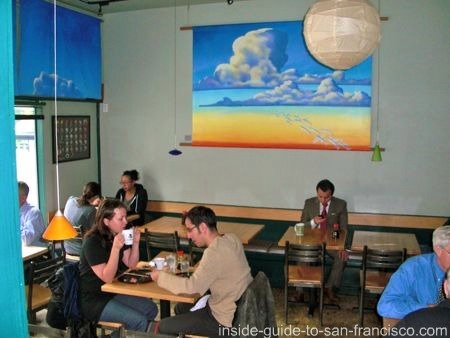 It's at 94 Judah Street, just about a block down the hill from the UCSF campus on Parnassus. The fish is fresh and the plates are beautifully presented. There is a bit of a wait to get your food, because everything is made to order. You See Sushi offers a large selection of specials: generous combination plates with samplings of different sushi and nigiri. The lunch specials start at only $7.95, and the dinner specials at $12.95. And of course you can order individual sushi from their ample menu choices. I recommend trying the You See Special. It includes six pieces of prawn tempura roll (wonderful! ), six pieces eel and avocado roll, miso soup, and four nigiri: albacore, salmon, yellowtail and red snapper. It's delicious, and a lot of food for $12.95. 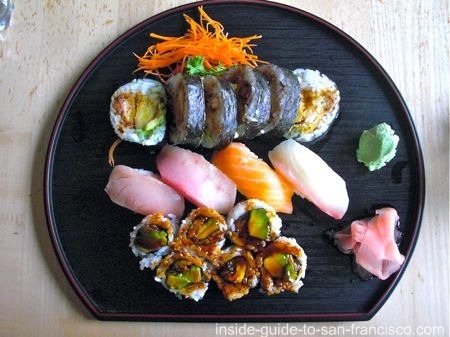 It's not often you can fill up on sushi in San Francisco for that price! Rice tea, mild and nutty, is served in large mugs with the food, but you can order other beverages, including plum wine and sake. The decor is casual and homey. Doctors from the hospital up on the hill and students from the University settle in at the little wooden tables, enjoying the sushi, tempura and udon selections. Lunch: Mon-Fri 11:30 am - 2:30 pm. Dinner: Mon-Sat 5:00 pm - 9:45 pm, Sun 5-9. Their menu is on their website, www.youseesushi.com. Public Transportation: The N-Judah streetcar stops one block away (Irving and 6th Ave) and Buses 6 and 43 go right by. 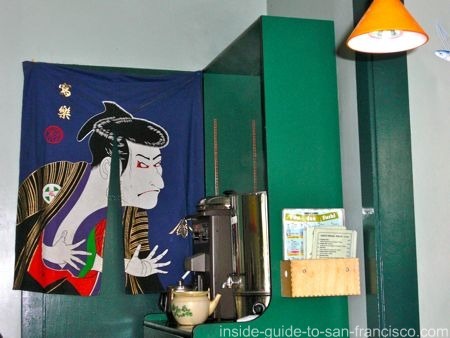 By Car: This sushi restaurant is in the Inner Sunset neighborhood, a couple of blocks south of Golden Gate Park, and just east of the UCSF hospital and campus. Parking is not that easy, but it's do-able. 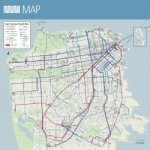 You should be able to find something in the neighborhood within a block or two. 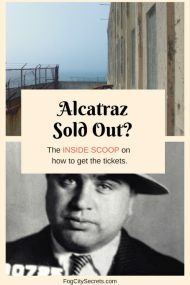 (Parking is free, but watch out for 2 hour limit signs). 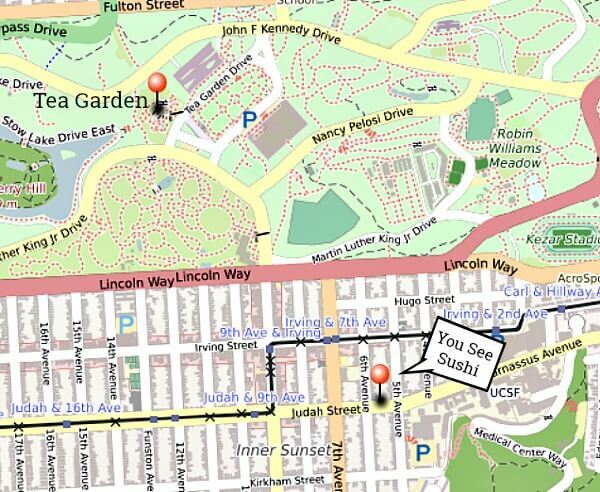 You can walk here from the Japanese Tea Garden, the de Young Museum or the California Academy of Sciences in Golden Gate Park (roughly seven blocks).